SEARCHING FOR A FUN, PROFITABLE FUNDRAISER? SPECIAL OFFER: GO TO BOTH SHOWS THIS WEEKEND FOR ONLY $25! 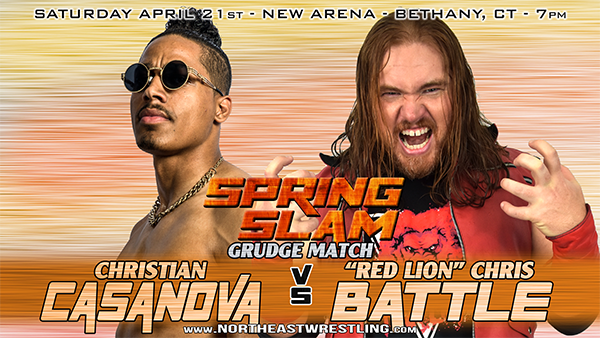 General Admission Combo: Get seats to both Lucha Mania on April 20 in Waterbury, CT and Spring Slam on April 21 in Bethany, CT for only $25 (a $10 savings)! 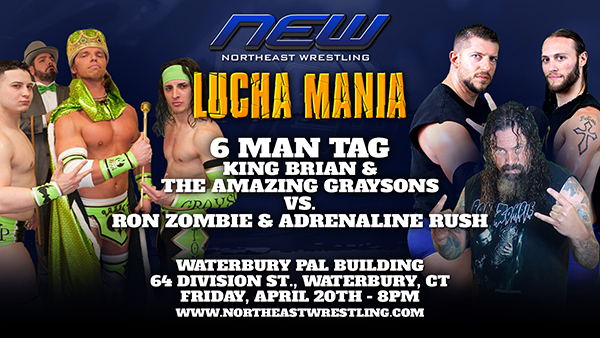 Northeast Wrestling will present Lucha Mania on Friday, April 20 at the Waterbury PAL (64 Division St) in Waterbury, CT. A meet and greet with the stars will be held at 6:30 p.m. Belltime is 8 p.m. SCHEDULED TO APPEAR . 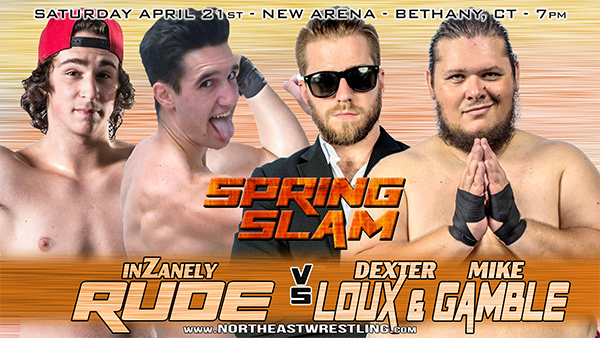 . .
Northeast Wrestling will return to the NEW Arena (40 Peck Road) in Bethany, CT on Saturday, April 21. Bell time is 7 p.m.
MARCH MAYHEM 2018 NOW ON DVD AND STREAMING ONLINE! March Mayhem 2018 is now available to order on DVD for only $15! You can also watch streaming online via Pivotshare or Highspots! 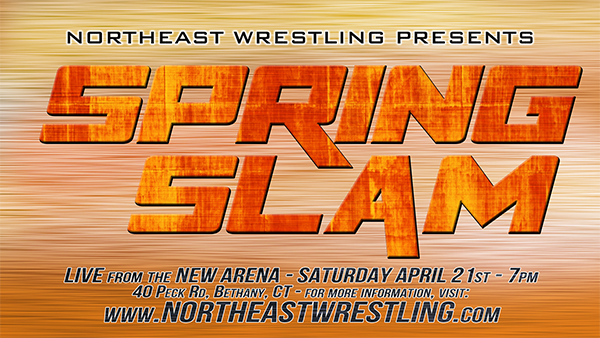 Northeast Wrestling will return to the NEW Arena (40 Peck Road) in Bethany, CT on Saturday, June 23. 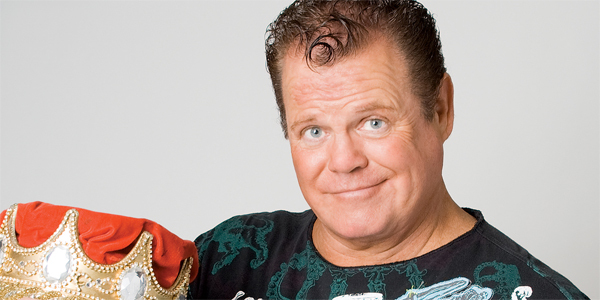 Bell time is 7 p.m.
Northeast Wrestling will return to the NEW Arena (40 Peck Road) in Bethany, CT on Saturday, July 7 with "Long Live the King" featuring Jerry "The King" Lawler. 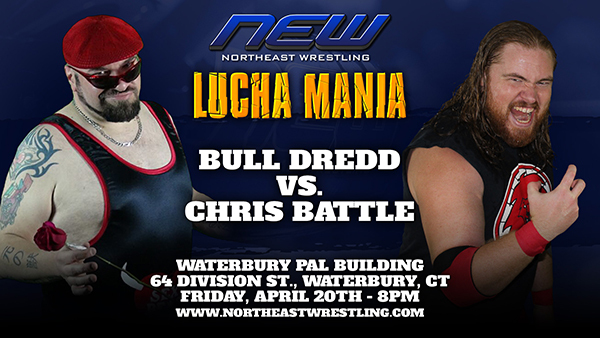 Bell time is 7 p.m. All tickets are $20 so order yours today to get the best seats! 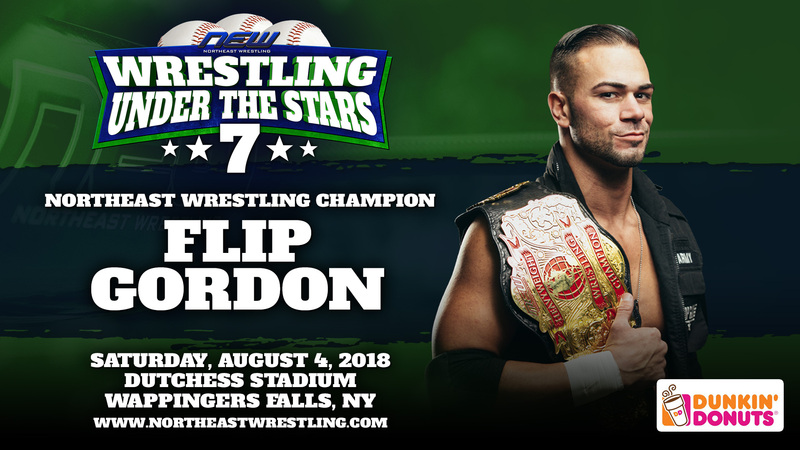 Northeast Wrestling's "Wrestling Under the Stars" tour returns to Eastwood Field in Niles, OH on Saturday, July 21, at 7:30 p.m.
Northeast Wrestling will present Wrestling Under the Stars 7 on Saturday, August 4, 2018 at Dutchess Stadium in Wappingers Falls, NY. 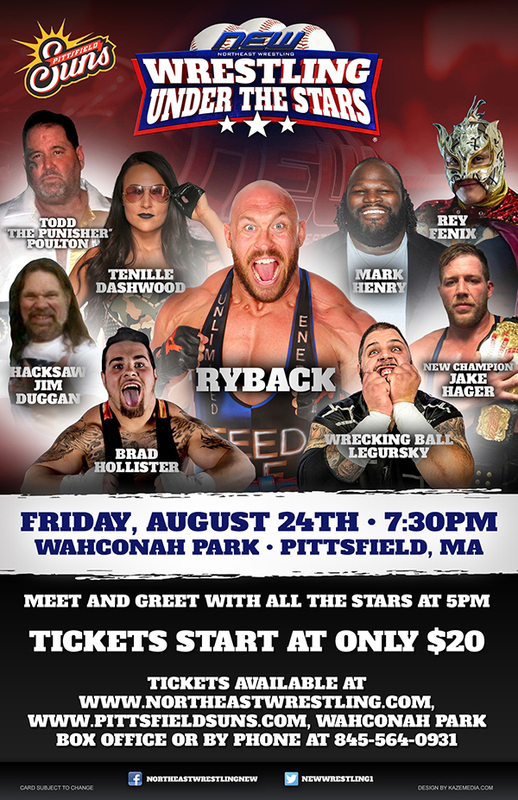 Bell time is 7 p.m.
Northeast Wrestling's "Wrestling Under the Stars" tour returns to Wahconah Park in Pittsfield, MA on Friday, August 24, at 7:30 p.m.
WRESTLEFEST XXII NOW ON DVD! Wrestlefest XXII is now available to order on DVD for only $15! BUY AUTOGRAPHED PHOTOS OF WRESTLING LEGENDS - ONLY $10 EACH! No pre-orders! No waiting in line! We are excited to offer our great fans the opportunity to purchase autographed photos of wrestling legends: Mick Foley, Jim Ross, Jerry "The King" Lawler, Corey Graves, Jushin "Thunder" Liger, Jack Swagger and Marty Jannetty! 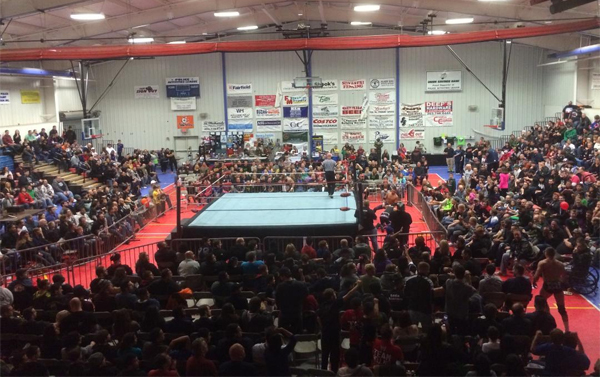 CHECK OUT THE NORTHEAST WRESTLING ON-DEMAND VIDEO SERVICE! 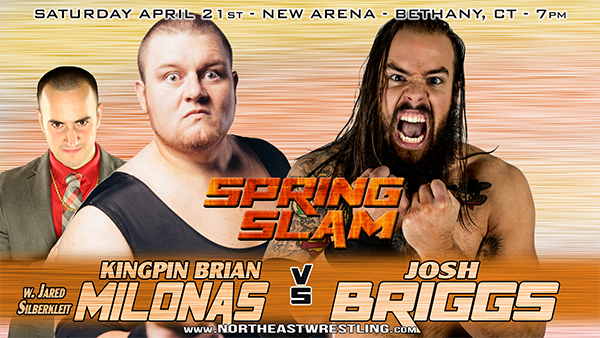 You can watch FULL Northeast Wrestling shows streaming on-demand via Pivotshare or the Highspots Wrestling Network. These services allow you to rent ($4.99) or buy ($9.99) shows and watch via your computer, phone, tablet and on your television with Apple TV, Roku or Chromecast. Or, you can subscribe to get unlimited access to every show for only $9.99 a month! Is your organization looking for a fun and profitable fundraiser? 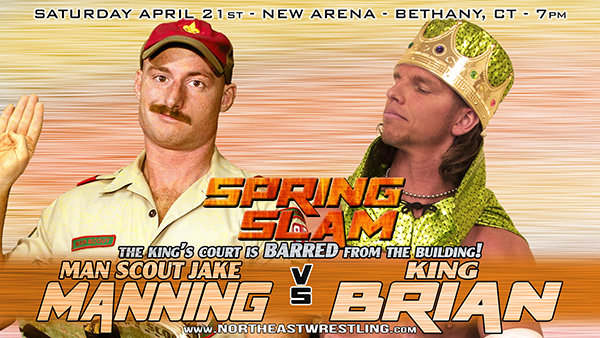 Northeast Wrestling brings the action of family friendly pro wrestling to high schools, colleges, armories, fairs and stadiums. We have raised significant funds for schools, fire departments, youth groups and all other non-profit organizations.